As Ned Stark would say, “Winter’s coming” which means dark and rainy nights. But this doesn’t necessarily mean the photography has to stop! I’m not a huge fan of Photoshop (probably because I’m not very good at it), I much prefer to do as much as I can within the camera and make small tweaks in Lightroom. Below are a bunch of photos I’ve taken at home, mostly on rainy days and without any Photoshop whatsoever. Every photograph is pretty much how it came out of the camera. I did use one speedlight (flash) for all of the pictures to create different effects. I also used a Triggertrap to fire the flash or activate the camera’s shutter for some of the pictures. The Triggertrap allows photos to be taken as soon as movement or sound is detected; without it, some of the images below would have been very difficult, if not impossible to take using human reaction time alone. A few of the photos took an hour or so to set up and take, and others took minutes. The more complex looking photos were actually the easiest to execute. So without further ado, here are some indoor photography inspiration for the winter months. 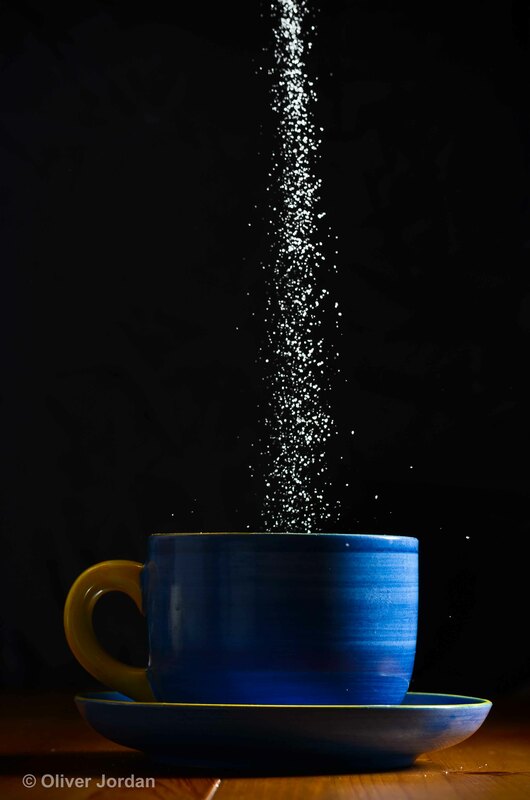 One speedlight placed to the right of the cup. 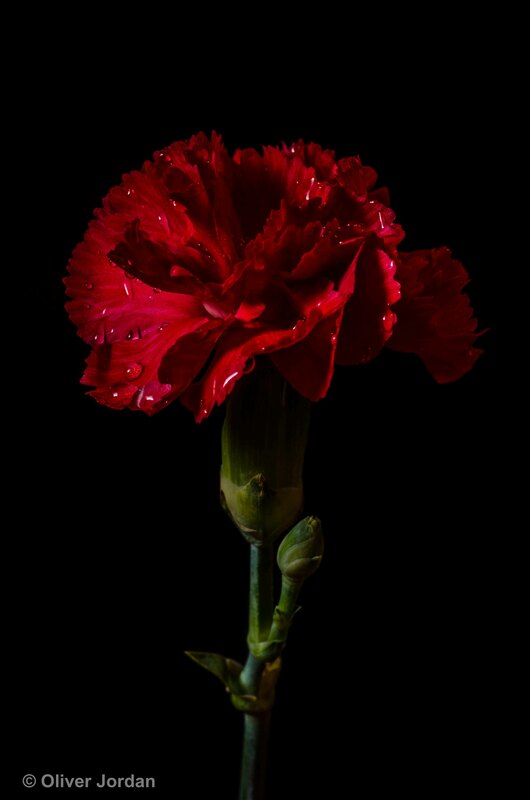 Similar to the sugar photo, but this time with the speedlight to the left and slightly above the flower. 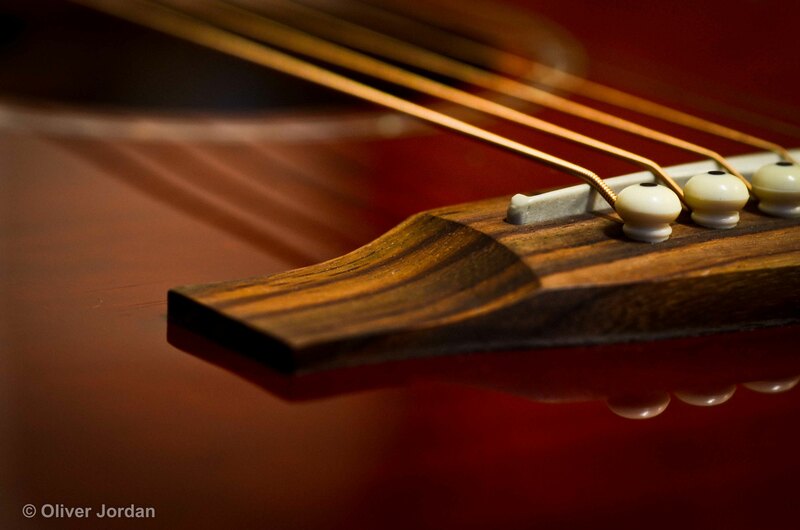 The strings were not plucked in this photo, it’s the depth of field that makes them look like they are vibrating. This took several attempts to get a nice shaped splash. Again, one speedlight was facing down on the drop to freeze the action, and the Triggertrap was used to fire the camera. 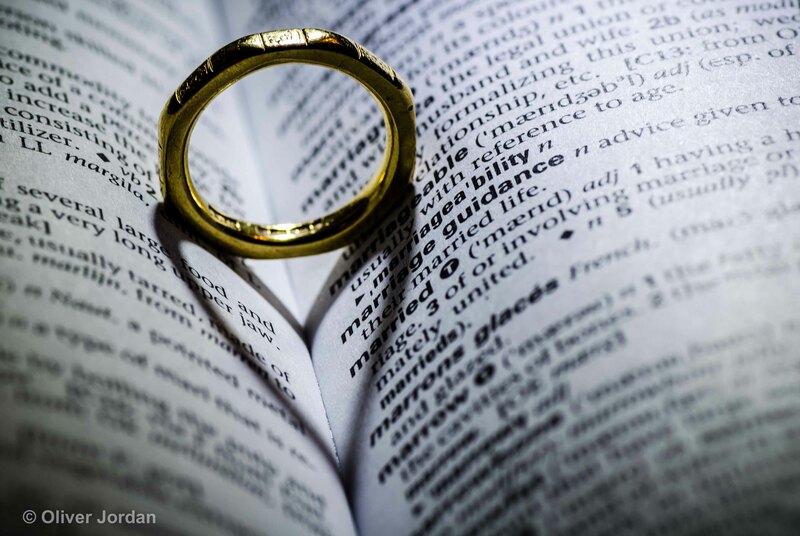 A single speedlight placed behind the ring to cast the heart shadow. 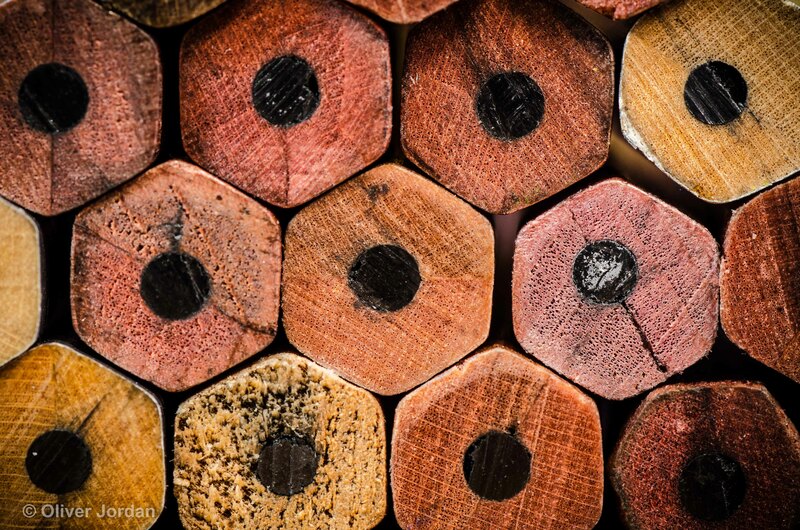 I used a macro lens to pick up all the grain on the wood of the pencils. One speedlight facing directly forward to light them up. An incense stick and a fan to direct the smoke into shapes. With this, you can create some very interesting shapes and patterns. 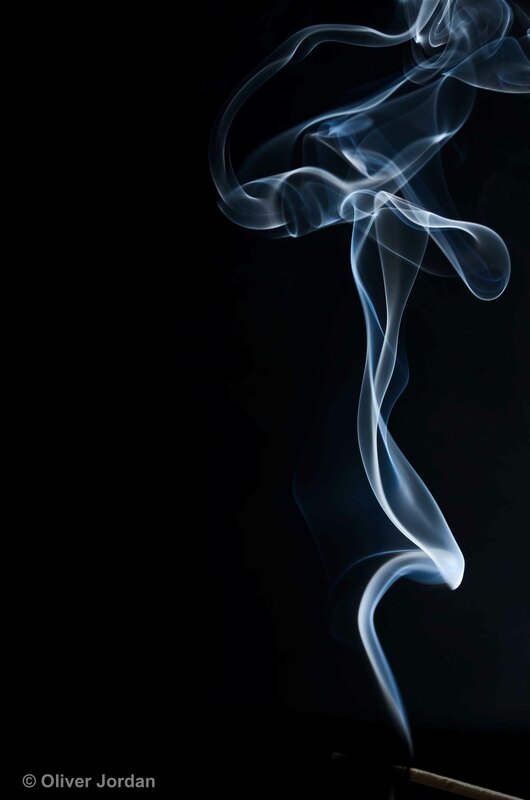 Once again, one speedlight was placed in front of the smoke to illuminate it. 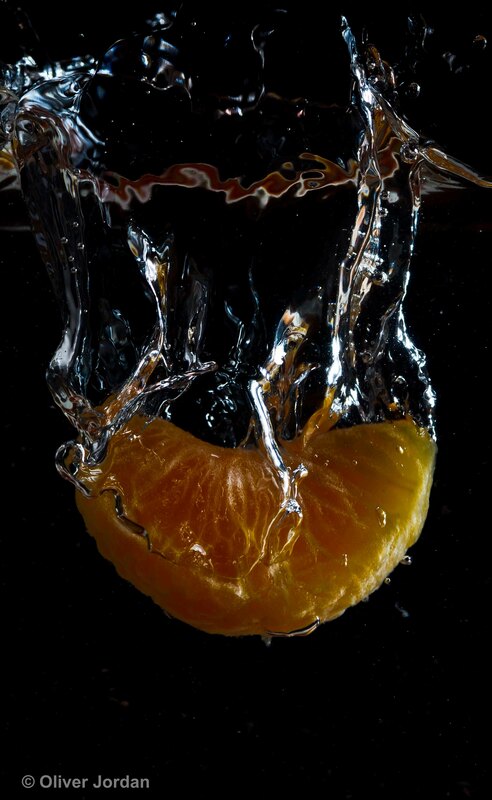 I used a clean vase filled with water and dropped the orange segments in until they landed in a way that I liked. Using other objects and fruits also works well. One speedlight facing down, so as not to catch any reflection from the glass, and a Triggertrap was used to fire the speedlight. 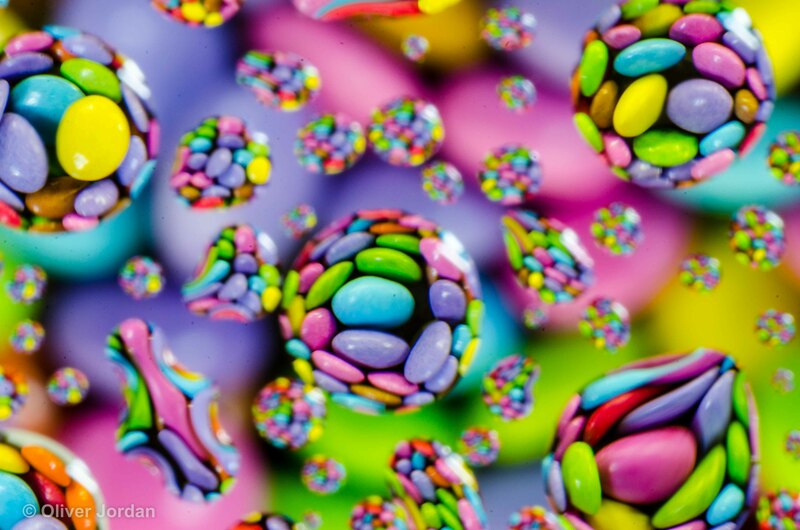 A pane of glass with drops of oil on and a bowl of M & Ms underneath. 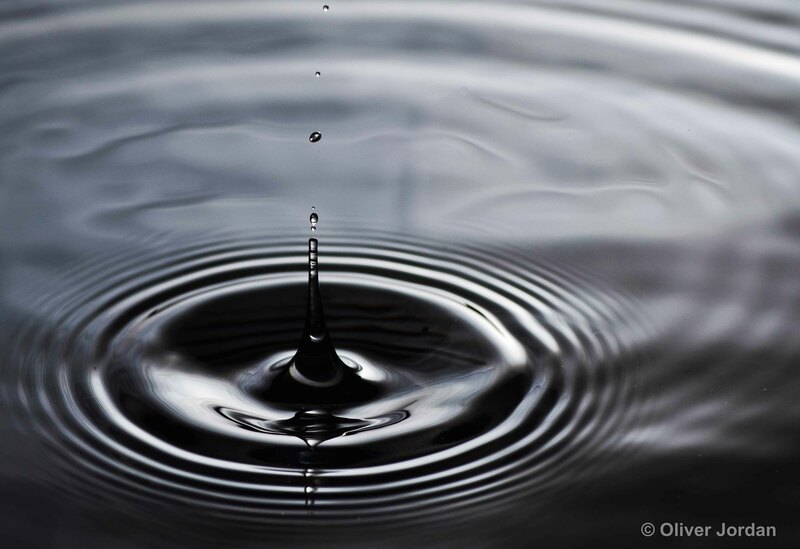 A macro lens was used again to focus on the oil droplets. The bowl underneath was lit up with a speedlight. 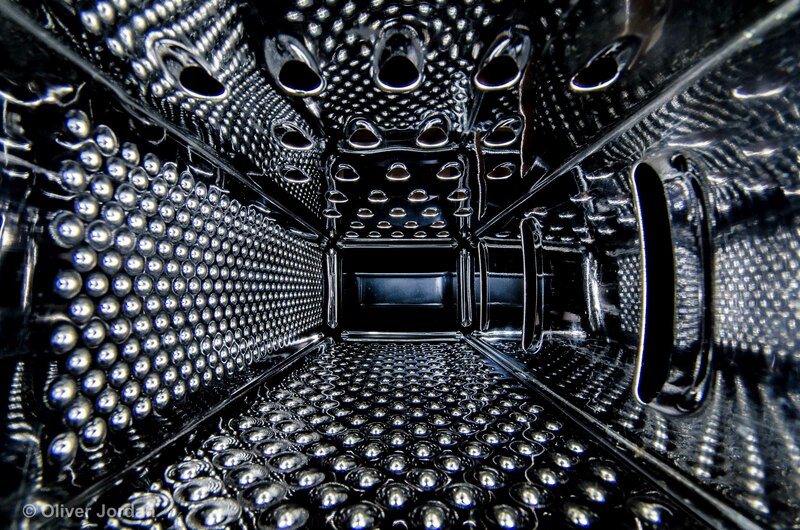 This may look like a vortex from a sci-fi film, but it’s actually just the inside of a cheese grater. The lighter was clamped in a vice to keep it still. 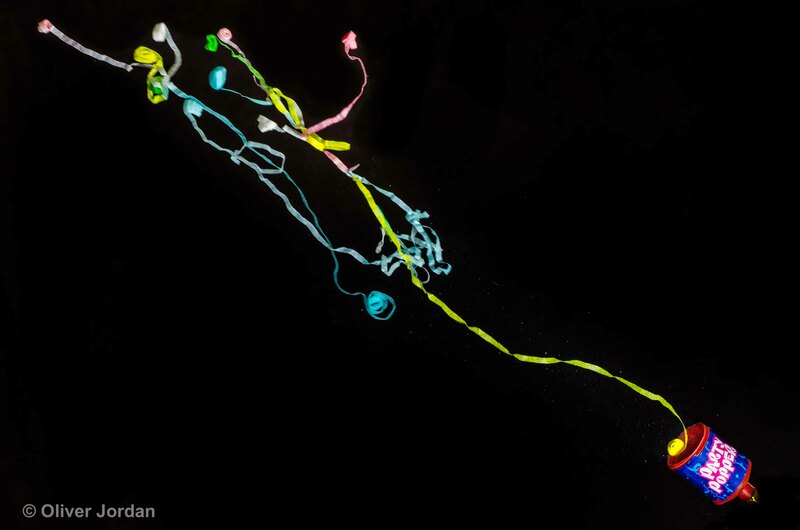 The speedlight was then triggered whilst the camera was on a long exposure (approximately 15 seconds) to light up the plastic casing. The lighter wheel was then flicked multiple times to create the mass of sparks. This photo would have been almost impossible to take without a Triggertrap. The party popper would have been gone in a blink of an eye! 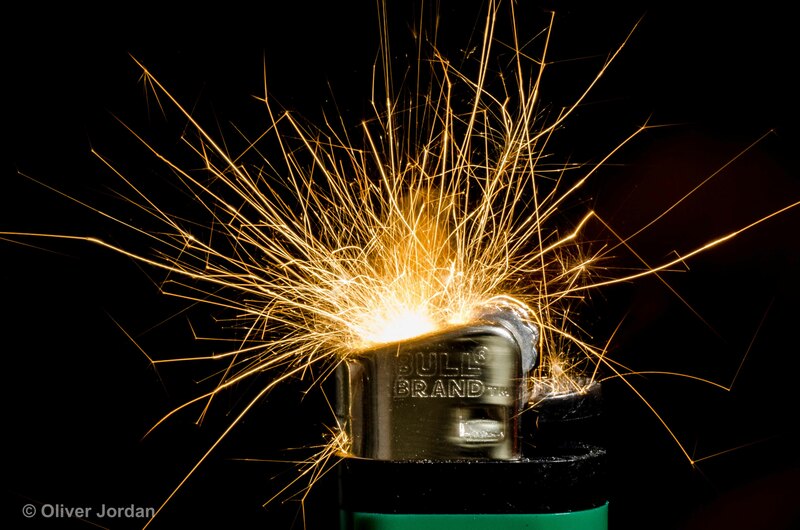 The Triggertrap was set to trigger on the sound and so it fired the flash just as the part popper went BANG! Absolutely stunning photos! Keep up the great work. Beautifully creative work, Olly. I’m glad you liked my kitchen shoot – you’re quite right, a great thing to do on a sodden (or lazy) day! I look forward to keeping track of your travails in the future. Thank you, the kitchen shoot has some very interesting shapes! Thanks Olly. It’s good to take mundane everyday objects and cast them in a new light.